The Volkswagen Golf R 2017 has stepped up from its predecessor. Aesthetically there may not be many changes, just a few upgrades to keep its finger on the pulse, but on the road you feel the difference. 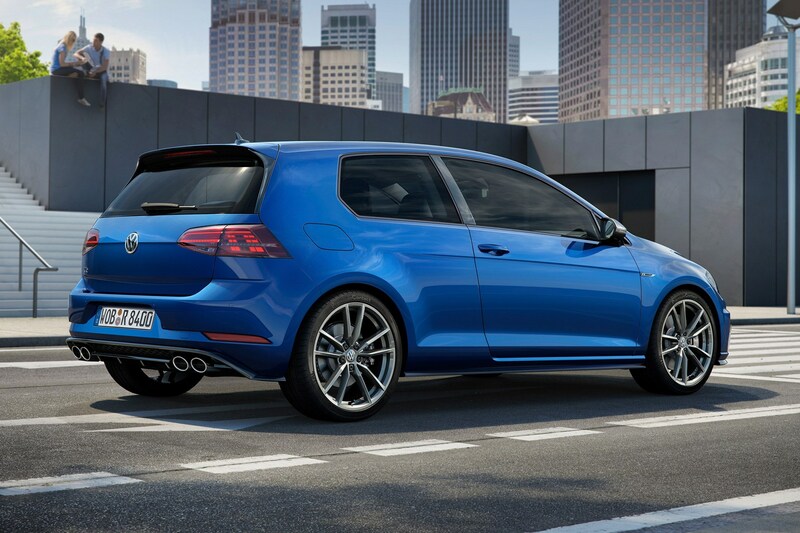 Driver’s that choose the Golf R tend to relish in the fact that they can switch from a cruisey city car to a high-performance rocket at the drop of a hat. Sometimes the roll-out of a new model means drastic improvements to style and performance, but the Volkswagen Golf R follows more of the “if it’s not broken, don’t fix it rule”. That isn’t to say that the newest version isn’t a step up but rather a testament to the existing quality of this much-loved vehicle. If you’re selling a Volkswagen Golf or looking to buy, it’s helpful to know how it compares to older models and the going rates. There are a few aesthetic updates including the new centre console and the active info display on the larger multimedia screen. The new LED lights, the 19-inch Spielberg rims and the improved bumper fascias offer a slightly more sophisticated look. The heated leather seats in the front can also be vertically adjusted to accommodate driver’s of various stature, and it will remember individual driver settings. You’ll also enjoy the gesture and voice controls, plus auto headlights and dual zone climate control. As a standard, it comes with a 213kW 4 cyl turbocharged engine and an option for a seven-speed wet clutch DSG auto transmission. As for safety, it includes low and high speed AEB, seven airbags, and a driver fatigue detection system, but you’ll have to pay extra for a sunroof and the adaptive cruise control and blind spot detection. In comparison to the popular GTI models, the R has a larger radiator, stronger cylinder head and hollow exhaust valves so it can make the most of its turbocharger. Overall the R is a punchier, although non-aggressive model and still offers the comfort of a five-door hatchback design. When looking at Selling a Volkswagen Golf R it may be useful to see how the entire Gold range compares. Depending on various version, engines and transmission, the current going rate is anywhere from $22,861 for the 110 TSI Hatchback, to $68,887 for the top of the line R Wolfsburg edition, with 26 models in between. While we offer free car valuations and cash for cars, we’ve provided a list of some examples for used Golf R models that are on the market now so you can get an idea of where a car you’re selling may fit in. Prices reflect varying levels of condition and specs but it’s helpful to get a ballpark when you’re thinking about selling your car. 2018 Volkswagen Golf R 7.5 Auto is selling for $59,888 before government charges. 2017 Volkswagen Golf R 7 Manual is selling for $49,990. 2016 Volkswagen Golf R 7 is being sold for $40,000. 2015 Volkswagen Golf R 7 Auto is up for $38,990. 2014 Volkswagen Golf R 7 Auto is selling for $34, 990. 2013 Volkswagen Golf R 7 Auto is up for $31,990. 2012 Volkswagen Golf R VI Auto is being sold for $25,900. 2011 Volkswagen Golf R 7 Auto is selling for $29,690. 2010 Volkswagen Golf R VI Auto is on the market for $24,000. Pros: Great value for money, spacious and comfortable, aesthetically pleasing, good performance. Cons: Front bar too low (driveways may become a hazard), no tow bar due to placement of rear exhaust, extra charges for safety package and sunroof. Hopefully you’ve got a better handle on how you’re car compares to what’s out on the market so you feel more confident in embarking on the “sell my car” journey. Get in touch with Are You Selling for a free car valuation and you’ll be on your way to getting quick cash for your car.